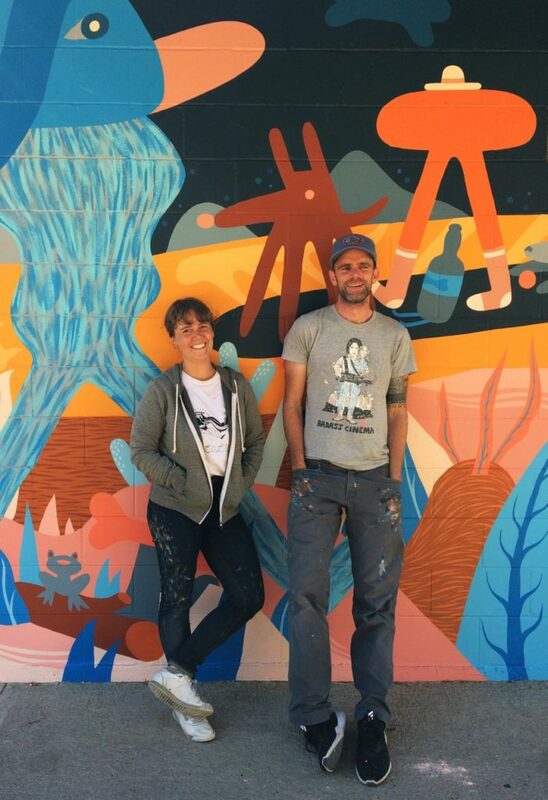 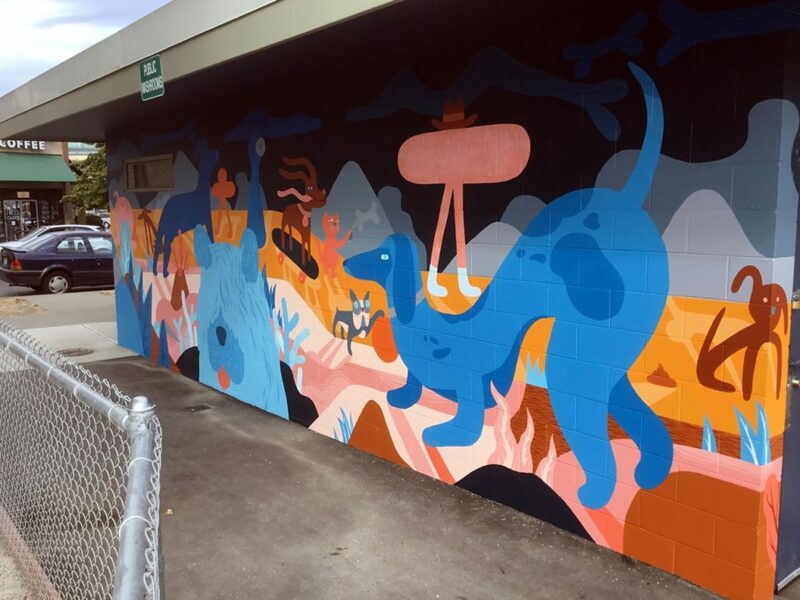 Murals have the extraordinary ability to transform blank walls into community canvases. 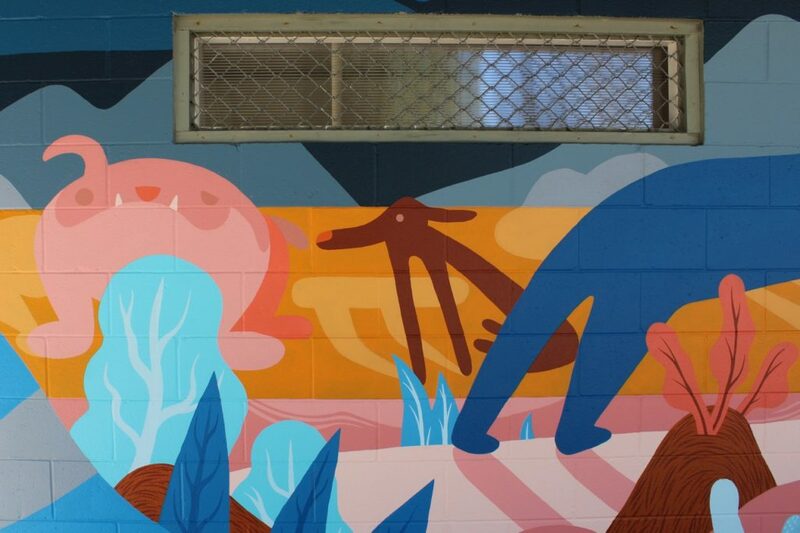 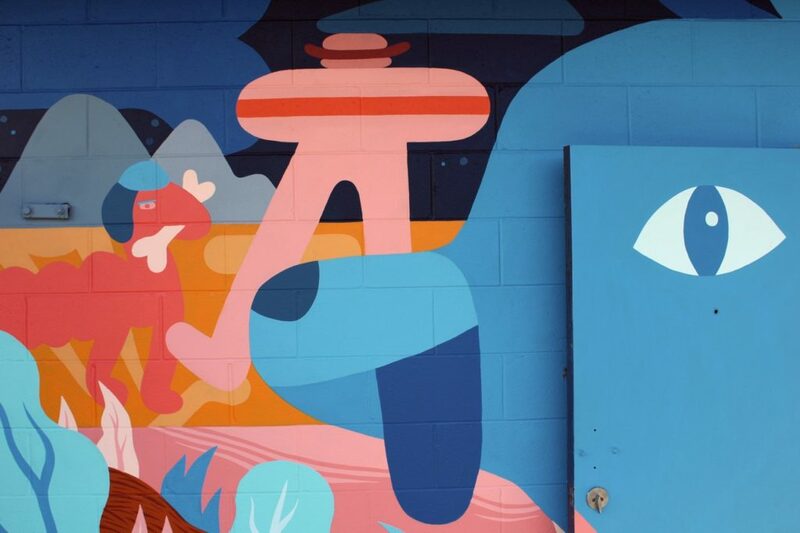 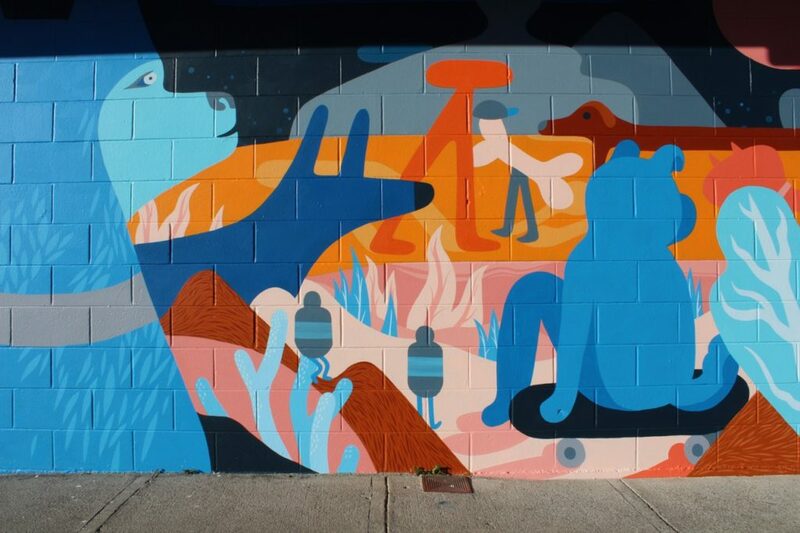 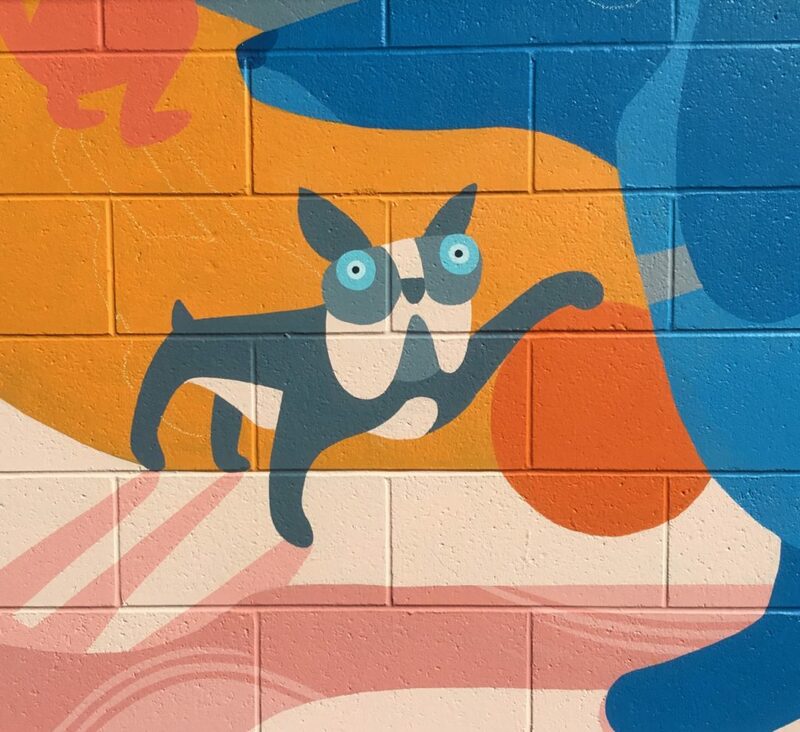 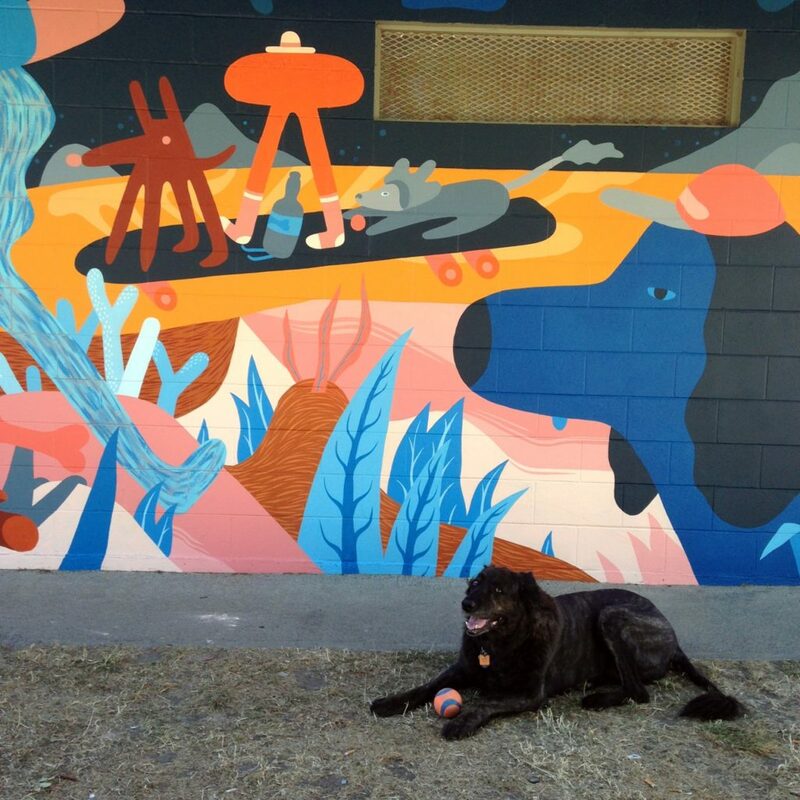 Dog Planet is one of four murals created by Luke Ramsey in collaboration with a guest artist to enhance a Victoria park and reduce graffiti vandalism. 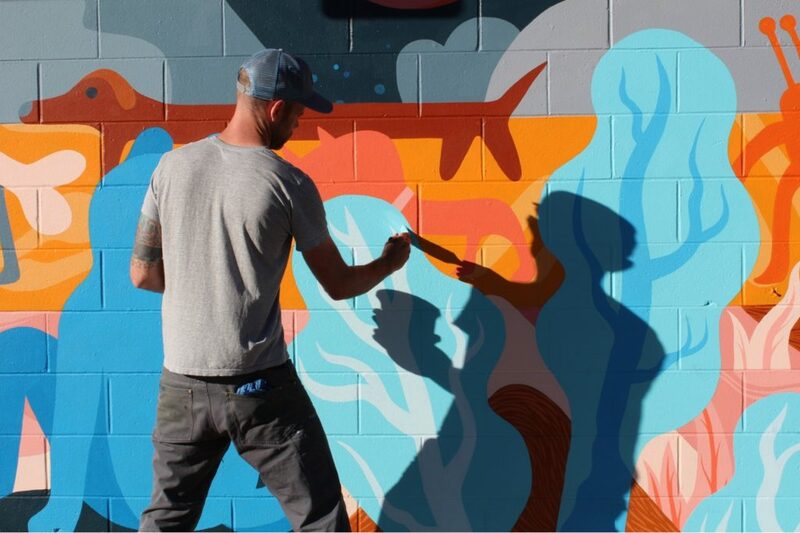 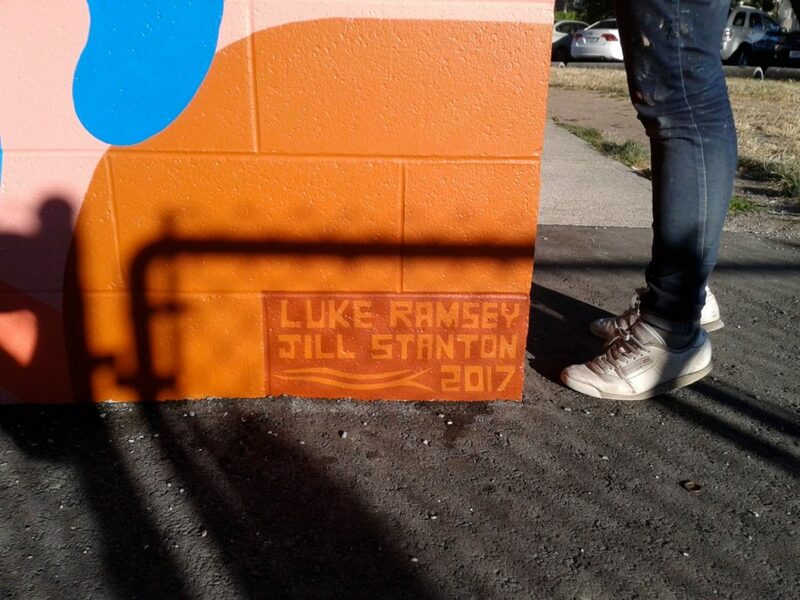 In his role as the City of Victoria Artist in Residence, Ramsey is tasked with ‘keeping art in mind’ and works with staff and the community to develop creative artworks to improve City infrastructure. 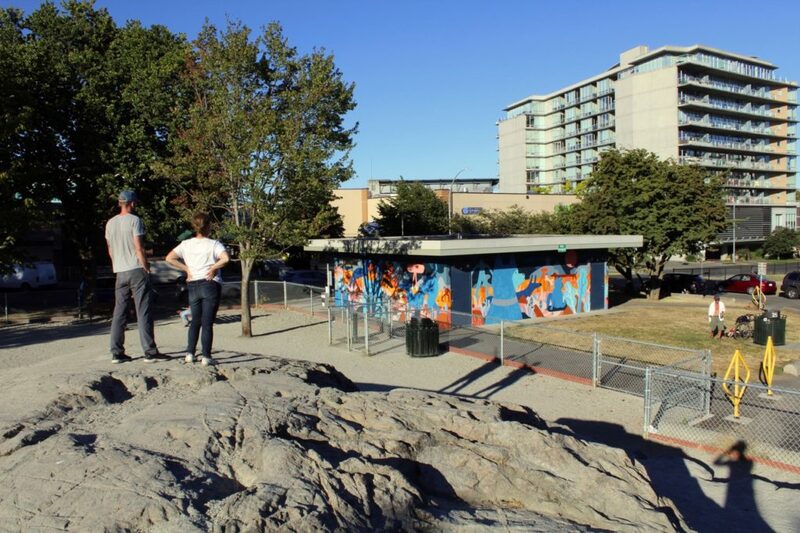 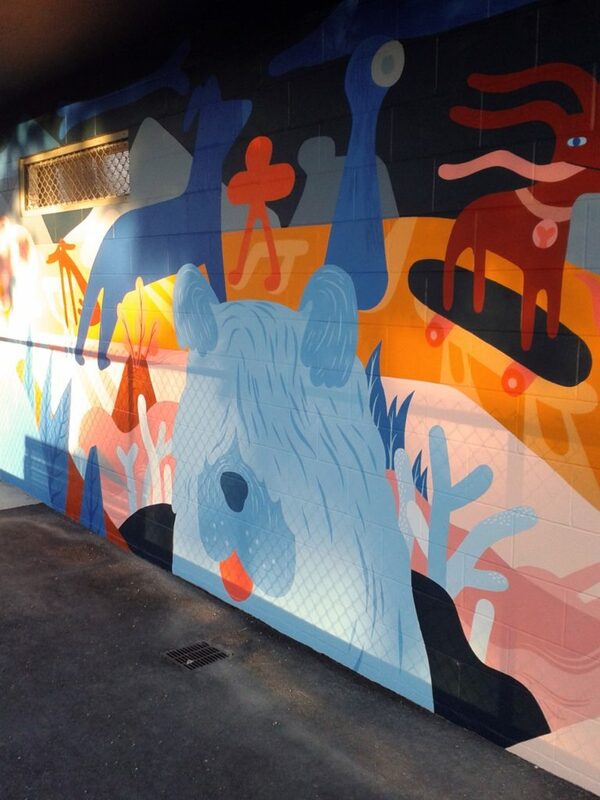 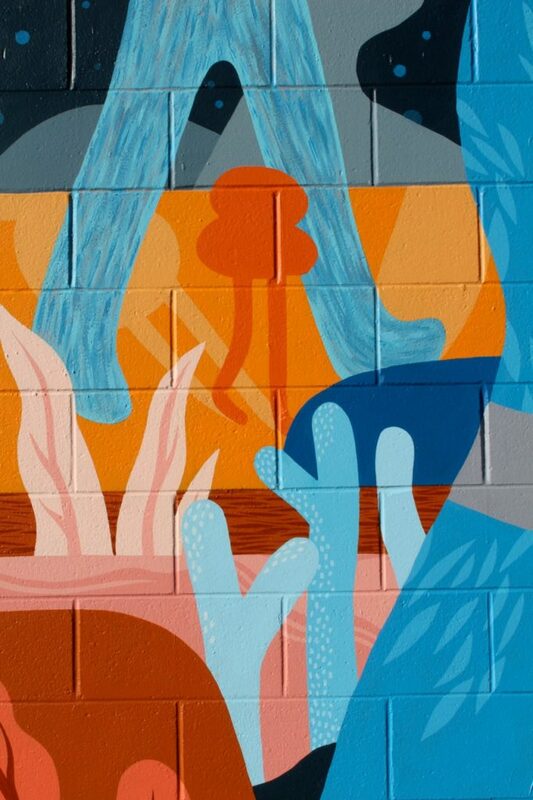 Each mural in this series has its own theme which reflects the park’s attributes. 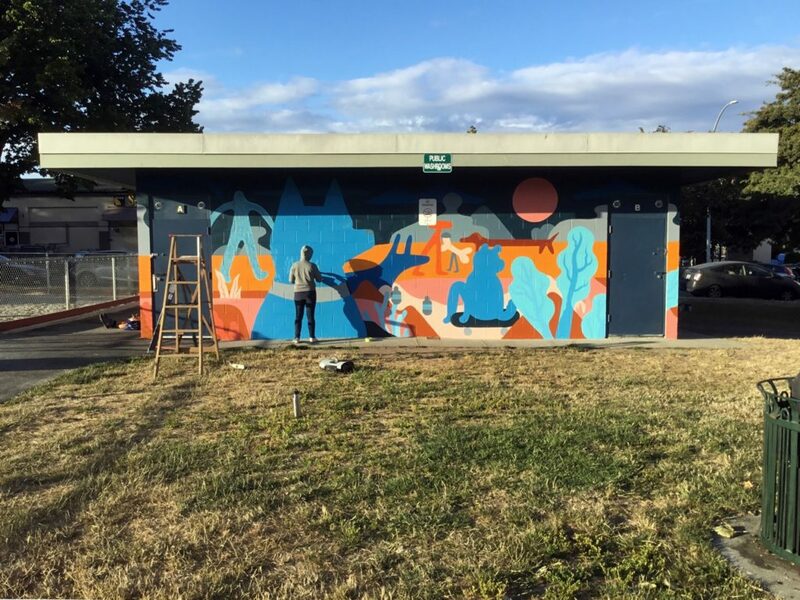 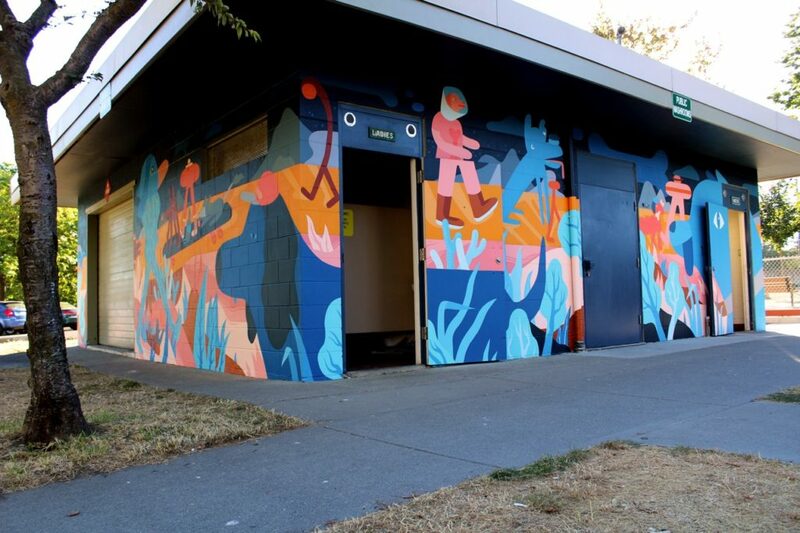 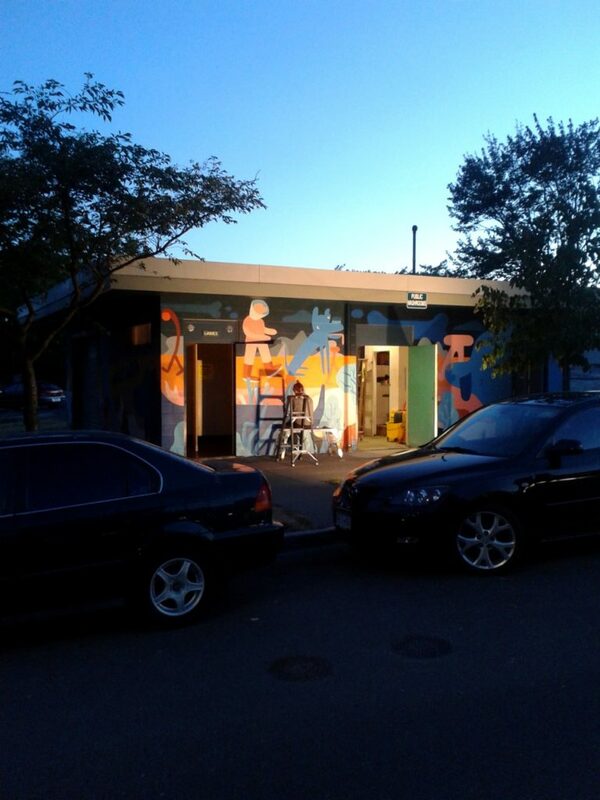 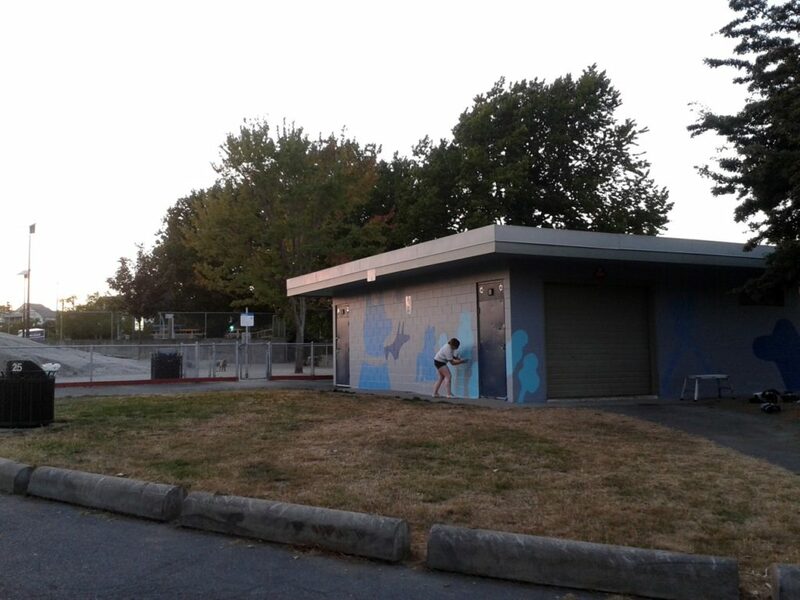 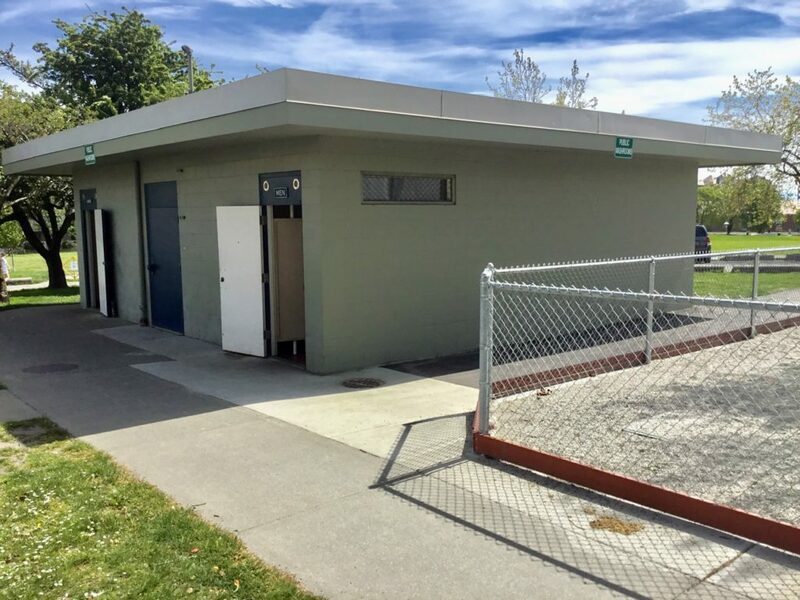 The other three murals are located at Hollywood, Spiral Beach and Vic West Parks.